Are you involved in implementing wireless mesh networks? 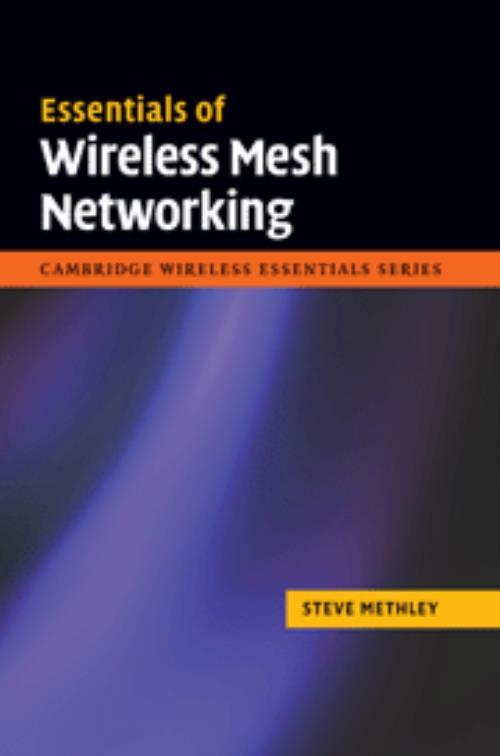 As mesh networks move towards large-scale deployment, this highly practical book provides the information and insights you need. The technology is described, potential pitfalls in implementation are identified, clear hints and tips for success are provided, and real-world implementation examples are evaluated. Moreover, an introduction to wireless sensor networks (WSN) is included. This is an invaluable resource for electrical and communications engineers, software engineers, technology and information strategists in equipment, content and service providers, and spectrum regulators. It is also a useful guide for graduate students in wireless communications, and telecommunications. Mesh hints and tips (inside back cover). Steve Methley has over 20 years' experience in telecommunications and data communications innovation, having led teams in the laboratories of British Telecom, Hewlett-Packard and Toshiba. Currently a consultant based in Cambridge, UK, his work includes algorithm modelling, business strategy, socio-economic analyses and futurology for a range of clients from start-ups to large global corporations.